7-rx.com was a Canadian online pharmacy that operated until 2016. The start date of this e-store cannot be found. 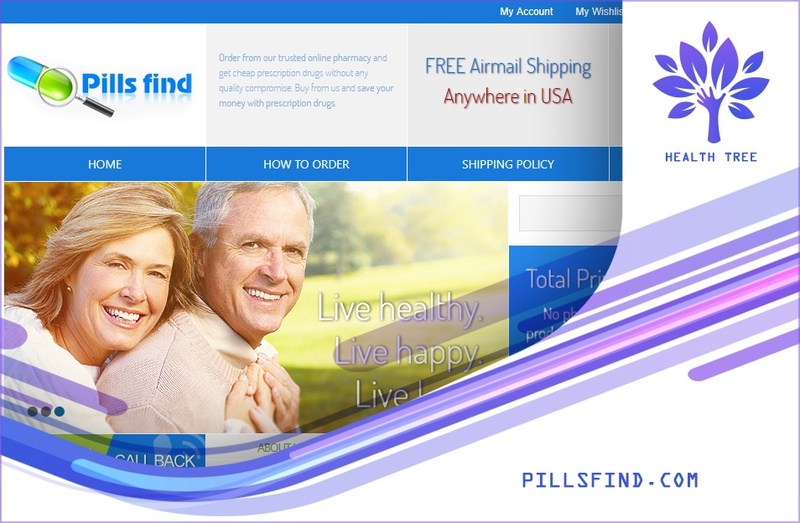 They did not provide their location but since they have a MIPA and a CIPA logo on their homepage, we assume that it was a Canadian online pharmacy. 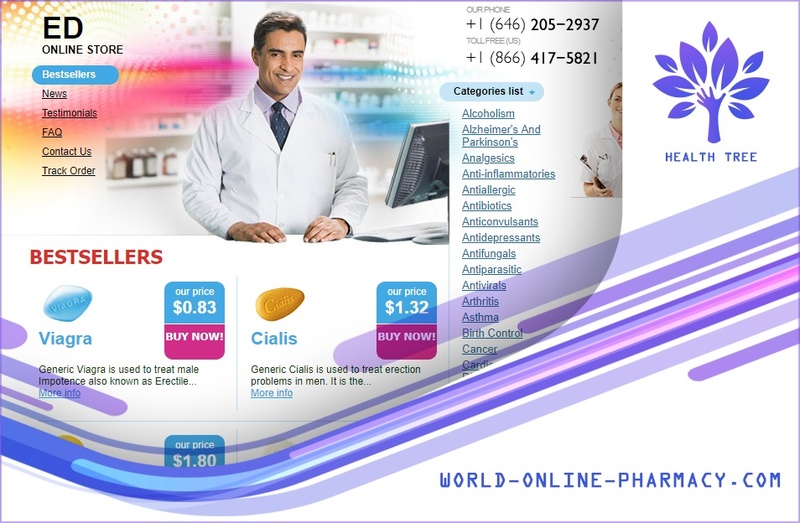 What we noticed about this e-pharmacy was the arrangement or design of their homepage. Most online pharmacies have their list of medical categories and bestsellers link on the left side yet 7-rx.com had it on the right side of their page. This must be a way to look different from other internet drugstores. We noticed a long list of medical categories that they catered to such as medications for allergies, infections, antibiotics, blood pressure, heart problems, hair loss, weight loss, men’s health, women’s health, arthritis, pain, depression, diabetes, and gastrointestinal problems. They also had erectile dysfunction medicines and skin care medications to offer. In fact, among their bestsellers were erectile dysfunction drugs. Generic Viagra and generic Cialis were among their top products under the bestsellers category. A generic Viagra was sold for $0.36 per pill and $0.76 per pill for generic Cialis. They also offered generic Levitra for $1.2 apiece. In their bestsellers list were branded medications such as branded Viagra for $3.8 per tablet and branded Cialis for $4.18 per tablet. It also included other erectile dysfunction brands such as Sildalis, Extra Super Viagra, Extra Super Cialis, Extra Super Levitra, Dapoxetine, Malegra FXT and DXT, and Female Viagra. For their US customers, they partnered with the USPS (US Postal Service) for delivering their products while for customers outside the US, they offered EMS Courier Delivery and Registered International Mail. A customer can file a missing or lost order report if the order had not arrived yet after 28 days. All orders and transactions can be settled with a Visa, AmEx, and e-Check. The support team of 7-rx.com was available via phone. Customers can talk to a support team by dialing 760 284 3222 and 4420 3286 3820. Their contact us page was also available for customers who don’t have a mean to make a call. When looking for a reliable online pharmacy to trust, we always check their customer reviews. A customer’s review can say a lot about a store, their service, and products. Despite being inactive for years now, we decided to check the status of 7-rx.com when it was still operating. Here are some of the reviews we found. For the first testimony, we chose the one shared by Samuel from Spain. He said that he received the Cialis pills he ordered. He added that he was expecting for the second batch of his order and was thankful for the support he received during the ordering process. 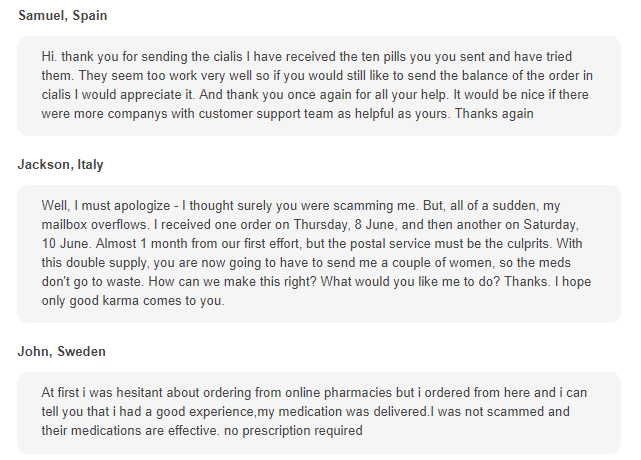 The second review that we found was from Jackson who was in Italy when he ordered his medicines from 7-rx.com. Jackson shared that it was the first time that he tried an online pharmacy and was wondering if he will become a scam victim or not. Luckily and thankfully, he said he was not and he received all of his orders from this e-store. The last customer review we found was from John who also had the same reservation as Samuel. John said that he was afraid to make online purchases because he was afraid to become a scam victim. Aside from receiving his order, John was also happy that 7-rx.com didn’t require a prescription for Rx drugs. The customers who shared their experiences were from different countries – a way for this e-store to prove that they ship worldwide. The reviews were also too positive, and it showed a lot of great things about 7-rx.com as an internet drugstore. We could have been happy to find such an online pharmacy, but our only concern is that these reviews were from the testimonial page of 7-rx.com. There is a huge possibility that these are bias reviews and were written by the owner or by paid people. 7-rx.com was closed sometime in 2016 hence they no longer have customer reviews for 2018. After searching online for coupon codes that 7-rx.com might have released to win customers, we just gave up as they did not release any coupon codes. Although they did not release any coupon codes, it didn’t mean that they did not offer anything to their customers. 7-rx.com actually released a few specials to keep their customers happy and loyal. One of the specials they offered was 70% savings on their medications and free Viagra pills on all orders. They also offered free shipping on all orders over $200. 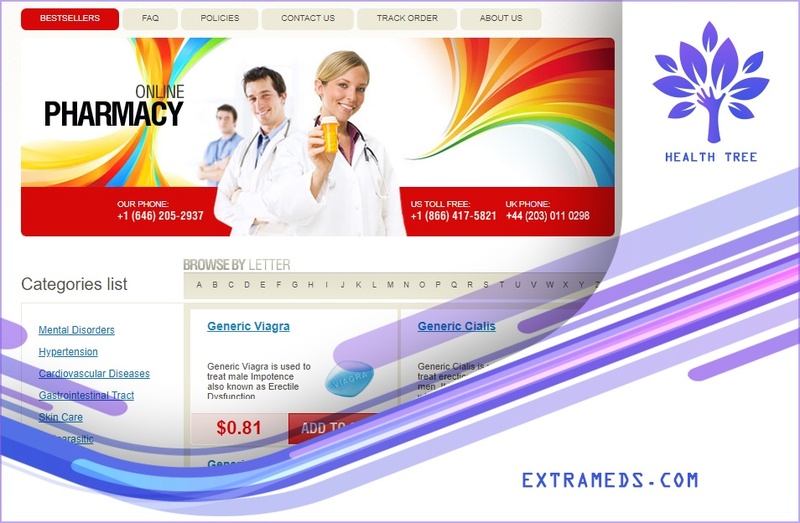 7-rx.com was a Canadian online pharmacy that was known for offering affordable medications. They promised up to 70% savings on all orders and if the order was worth $200, the delivery was free. 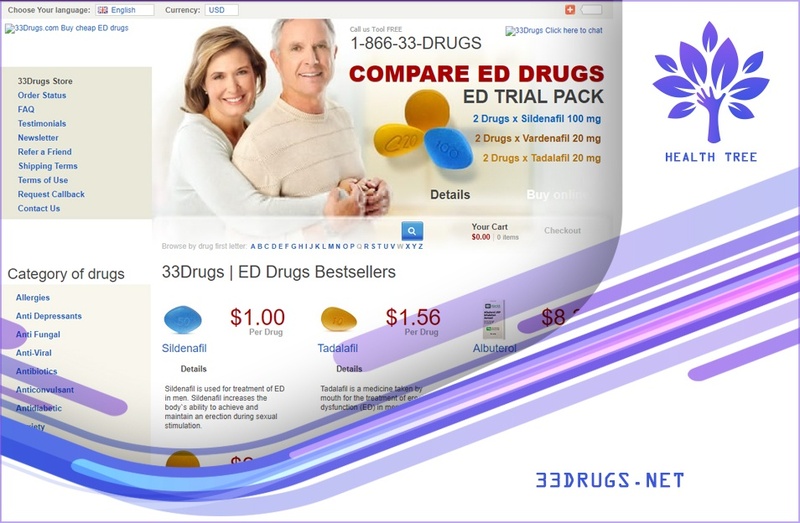 This e-store said that they were licensed by CIPA and MIPA, two of the popular Canadian health agencies that monitor drug trade in the country. This e-dispensary offered a wide range of products. They offered branded and generic medications and they offered prescription and commonly purchased over the counter medications. According to one of their testimonials, this e-store didn’t require him to present a prescription when he ordered an Rx drug. We could have considered this e-store as one of our possible sources of cheap medication if they had a believable customer review. Apparently, the testimonials that we found were available on their website only and cannot be found on third-party review sites. As a seasoned online consumer, we strongly believe that on-site reviews are not reliable and are mostly fake.